The annual business expo aims to further prepare local entrepreneurs for the regional integration. 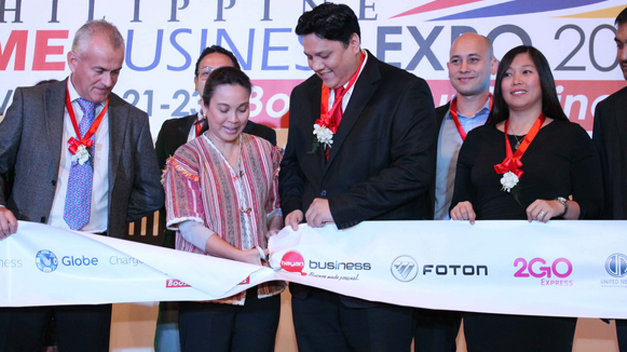 Following the success of its two series in 2013 and 2014, Mediacom Solutions Inc. is organizing the third edition of the Philippine Small and Medium Enterprise Business Expo 2015 (PHILSME), set to take center stage this coming October 2-4, 2015 at the SMX Convention Center Manila, Pasay City. With the tagline “Boost Your Business,” PHILSME is set to be a consumer and trade event dedicated to boosting the ASEAN SME community in the Philippines. With the upcoming ASEAN integration happening this year, the three-day expo will provide a platform to meet and network with industry professionals from the SME sector in a dynamic and focused business environment. On its 3rd year, PHILSME will keep SMEs updated with the latest innovations and current trends in the industry to nurture growth opportunities in the country and in the ASEAN Economic Community (AEC) for 2015 and beyond. “The event creates a venue for local and international buyers and suppliers to collaborate and network with each other and take the opportunity to be exposed to a full range of products and services from various industries, increase industry knowledge and engage in ground-breaking discussions and partnerships,” says Mediacom Solutions Inc. chairman and CEO, David Abrenilla. “PHILSME 2015 will also be featuring a Business Matchmaking Service that allows exhibitors a unique opportunity to meet face-to-face with senior-level managers, company owners, stakeholders, decision makers, buyers, sellers, distributors, and franchisees,” he adds. One of the highlights this year is the PHILSME Business Conference, an industry gathering that will provide attendees a unique opportunity to learn from influential experts of various business sectors, like technology, food, retail, and manufacturing. The conference will present an array of the most current trends, topics, and researches in business. The exhibiting industries in PHILSME 2015 will range from retail, food and beverage, technology and innovation, agriculture businesses, confectionary, to general merchandise, hospitality, hotels, salons, spas and gyms, malls, office furniture, machineries, direct selling and supplies, bar, café and coffee shops, among others. To attend the show, pre-register for free at its Website or contact Sunshine Sy at (02) 509 4792 or 0927 3951575.